Egads, Charlotte's frozen yogurt wave must be cresting - or at least heading that way - because lately it's seemed like hardly a day can pass without news of a new froyo shop hitting our region's radar screen. The latest: Charlotte resident Samuel Batt plans to open three new area TCBY locations in the next few months, at Blakeney in Charlotte, Birkdale Village in Huntersville and in Village Commons Phase II in Wesley Chapel (if you're familiar with the last shopping center, the store is planned for the freestanding building originally conceived as a coffee house). The brand is a stalwart of the frozen yogurt scene, but it's taken steps toward reinventing itself in more of an updated, Pinkberryesque mode lately, with help from a test store that Batt opened earlier this year at Colony Place in south Charlotte. It was the first TCBY in the country with a revamped modern design and self-serve yogurt, priced by weight, that customers can top themselves at an extensive bar of choices. The store's performance has prompted TCBY to refresh its brand identity and incorporate the self-serve model for new and existing franchisees, the company says. The three new Charlotte-area stores will be the first traditional TCBYs to include those traits. Six soft-serve machines will offer 12 rotating flavors of sweet and tart yogurt, as well as dairy-free sorbet. The Wesley Chapel store will also have a drive-thru and more of the company's traditional menu items, such as Shivers and cones. Brooks Brothers is moving from SouthPark mall to Phillips Place, with plans to open the new location next spring, says Lincoln Harris, which manages and leases the upscale mixed-use center on Fairview Road. The store's main entrance will be in the space currently occupied by Modern Salon & Spa, which this fall will move down the street into a space next to Upstream restaurant. The nation's oldest clothing retailer, Brooks Brothers sells classic-styled clothes for men, women and children. Christmas in July? No thanks! Christmas comes but once a year? Not if retailers have their way. So-called Christmas creep is bad enough, with all manner of holiday decorations and accessories popping up in stores in September and October. But, as an Associated Press story we ran today details, several big chains are ramping up "Christmas in July" efforts - including Sears, Kmart, Target and Toys R Us. Because, you know, nothing says "Buy more stuff!" like reminding people of the happy time of year when, well, they're most likely to spend lots of money at stores. In the story, a Target spokeswoman said that the chain was holding a one-day Black Friday-themed online sale this week to create a sense of excitement and urgency. That's generally not a bad thing in retailing, but it loses its luster - fast - if it's repeated too often. And it seems like it'd be even more potentially off-putting if it's viewed as further accelerating the already-protracted holiday retail season - a view shared by some other merchants, including J.C. Penney, whose chief marketing officer remarks that "Customers don't like it when you push Christmas too early." Count at least this shopper in that number. "Christmas in July" promotions usually come with a bit of a wink, as if to say, "Yeah, we know July is pretty much the opposite of Christmas, so let's have some fun with it." 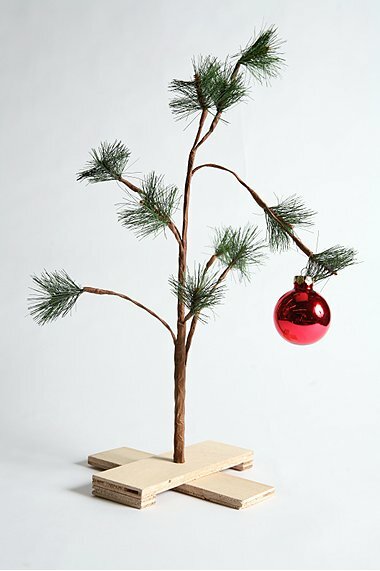 If it becomes just another link in an ever-lengthening chain of promotions tied to the actual, December Christmas, well, it's no longer Christmas in July - it's simply part of Christmas, the retailing/merchandising/advertising extravaganza. And it only further frays the connection between that event and real Christmas, the Dec. 25 holiday that's the center of a warm, fun, family-focused time of year. I and plenty of other people love Christmas, and that kind of love is part of why retailers can be so successful at prompting holiday spending. But summer is short enough as it is: Let's enjoy it while we can, and save the evergreen trees and ornaments until the temperatures drop - a lot. Well, if it wasn't already apparent (yes, I realize I just posted about Pinkberry a few days ago), Charlotte's frozen yogurt boom is in full swing - with the latest arrival to the scene opening this week in the Lake Norman area. Most of the shops that have opened so far have been in south Charlotte, which is partially what prompted Matthew Ganis to bring FreshBerry Frozen Yogurt Cafe to Mooresville: He was hoping to start a business when and his family moved to Mooresville from Long Island last year, he said, and his wife noticed that there weren't any frozen yogurt shops in the area. Ganis considered several concepts before deciding on FreshBerry, which is slated to open Wednesday in the Martin Crossing shopping center at Williamson Road and N.C. 150. The center also houses Starbucks, Panera Bread and others. Ganis is offering an enticement to encourage folks to give FreshBerry a try: Free yogurt on opening day. 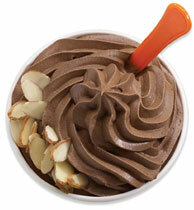 All visitors between 11 a.m. and 8 p.m. on Wednesday will receive a free small frozen yogurt with one topping. Flavors include original tart, chocolate, vanilla, strawberry, pomegranate and key lime chiffon, with 28 toppings to choose from. In addition, the store sells smoothies and low-fat popsicles made with yogurt and fruit. FreshBerry is a roughly three-year-old concept from Beautiful Brands, a Tulsa, Okla.-based company that also owns Camille's Sidewalk Cafe, which has locations in Charlotte and Mooresville. Ganis' store will be FreshBerry's first Charlotte-area location, but it also has locations in Raleigh and Charleston. On Long Island, Ganis manufactured ladies' sleepwear. Running a yogurt shop, he said, is a bit different - but he's enthused about it. "It's happiness in a cup," he said. "It's similar to Starbucks and your other ice cream places, but it has a little bit more of a healthy spin on it. You can make it as healthy or as unhealthy as you want to," he joked. The new Walmart supercenter in the Clover-Lake Wylie area - at 175 S.C. 274, near the S.C. 49 intersection - is tentatively scheduled to open September 15, the company says. The store is seeking full- and part-time employees and recently opened a hiring center in preparation for the debut, in the Lake Wylie Business Centre at 252 Latitude Lane. It's open from 8 a.m. to 5 p.m. weekdays. The majority of employees will start work next month, Walmart says. The Lake Wylie store is one of two Walmarts scheduled to open in the coming months in Charlotte's South Carolina suburbs, as the world's largest retailer continues to expand its local presence. A new store on U.S. 521 in Indian Land, in Lancaster County, just south of the Ballantyne area, is expected to open around the same time. National fast-casual sandwich chain Which Wich plans to open its first Charlotte-area location Sunday at ParkTowne Village at Park and Woodlawn Roads in Charlotte, in part of the former Party Land store. And if you can't tell by the name alone, the food here comes with a side of quirkiness. The menu includes more than 50 varieties of customizable, toasted sandwiches, from classic turkey, ham and roast beef varieties to more unusual selections like one that goes by the name Wicked (ahem) and includes five meats and three cheeses, and the Elvis Wich, with peanut butter, honey and banana. Vegetarian options, including a tomato and avocado sandwich and a black bean patty, are also available. Customers order by using red Sharpie markers to check off their selections - including their choice of bread, cheese, spreads and vegetables - on menus pre-printed on sandwich bags. Accompaniments include shakes, chips and fresh cookies; the shop also has free wi-fi and a wall featuring the artwork customers have doodled on their sandwich bags. Which Wich currently has 110 locations in 19 states, with just a handful in the Carolinas. Grant Alexander, owner of the Charlotte shop, says he hopes to open more locations in the area, and started where he did because of its convenient location near Dilworth, Myers Park and SouthPark. The new Tory Burch store at SouthPark, near Neiman Marcus, is slated to open tomorrow (Friday), the company says. Also coming soon: Grand opening festivities at the new Kirkland's home furnishings and decor store at Concord Mills, which opened last week but will be hosting events July 23-25 to mark the occasion. The 6,000-plus-square-foot location is at Entry 3 next to Bed, Bath & Beyond. The retailer also has area locations in Charlotte, Gastonia, Hickory and Huntersville. 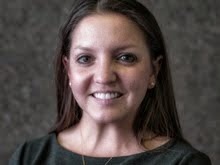 The grand opening will feature Charlotte interior designer Tany Broun, who will provide free one-on-one design advice from 1-4 p.m. on July 24 and 25, Saturday and Sunday. So here's some news that should get any sweet tooth's blood sugar surging in anticipation: Davidson Chocolate Co. plans to open a second location in Dilworth at the end of August. The store will be at Kenilworth Commons, the Harris Teeter-anchored shopping center on East Boulevard; the original shop is, unsurprisingly, in Davidson, and opened in 2008. 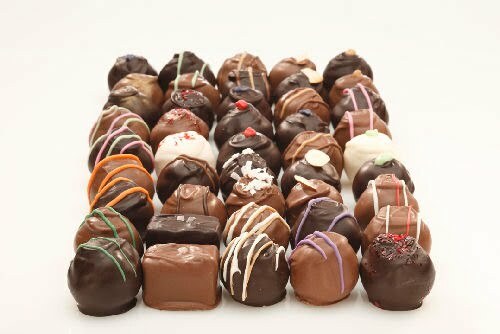 The full-service chocolate shop, owned by husband and wife John and Sue Elliott, will sell a full line of gourmet truffles (17 flavors! ), confections, fudge and Belgian chocolate brownies, as well as other featured desserts and seasonal and holiday items. Ice cream and milkshakes will also be available in store. "We are excited to bring handmade chocolate to the Dilworth area, which has much of the same community pride, demographic and aspects that make doing business in Davidson so enjoyable," John Elliott said in a news release. 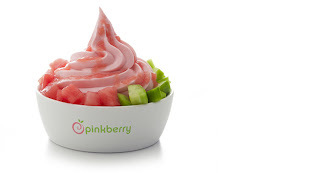 Looks like CLT is getting a bit more of the PB: Frozen yogurt chain Pinkberry plans to open its second area location in October at the Arboretum in south Charlotte, the company said today. The Los Angeles-based company is expanding in the southeast this year, and is slated to open its first Charlotte store next Friday, the 23rd, at Phillips Place. As my awesome colleague Helen Schwab has noted, that location will host a grand opening event the night before, July 22, from 6 to 10 p.m., with free frozen yogurt, music and giveaways. Pinkberry's arrival will give Charlotte a bigger taste of the frozen yogurt trend sweeping the country, featuring tart flavors and an array of fresh fruit and candy toppings. I talked about that and more today with CEO Ron Graves, so look for our Q&A to appear sometime soon, in advance of the store's opening. What are your local antique/vintage faves? I'm right now cooking up a retail feature for the Observer's upcoming Living Here guide, and we're aiming to focus on some of the area's notable antique and vintage shopping options. Obviously, this kind of story would be incomplete without mentioning, say, the Sleepy Poet Antique Mall on South Boulevard, with its 55,000 square feet of selection and super-cool vintage clothing corner, or the cluster of shops on Central Avenue in Plaza Midwood. But I'm wondering: Where else in the region do you head to seek out surprising, interesting, idiosyncratic antiques and vintage items? I've got some other ideas, too, but I'd love your input - so if you have thoughts, post away in the comments and let me know. Thanks!